Today: Avoid over-steeped, bitter tea for good. Here's how to brew the perfect cup, whether green, black, or herbal is your tea of choice (or your cup of tea, if you will). All of Edith Bourgault of Art et Manufacture's pieces are handmade in white porcelain and then detailed with cobalt blue designs. 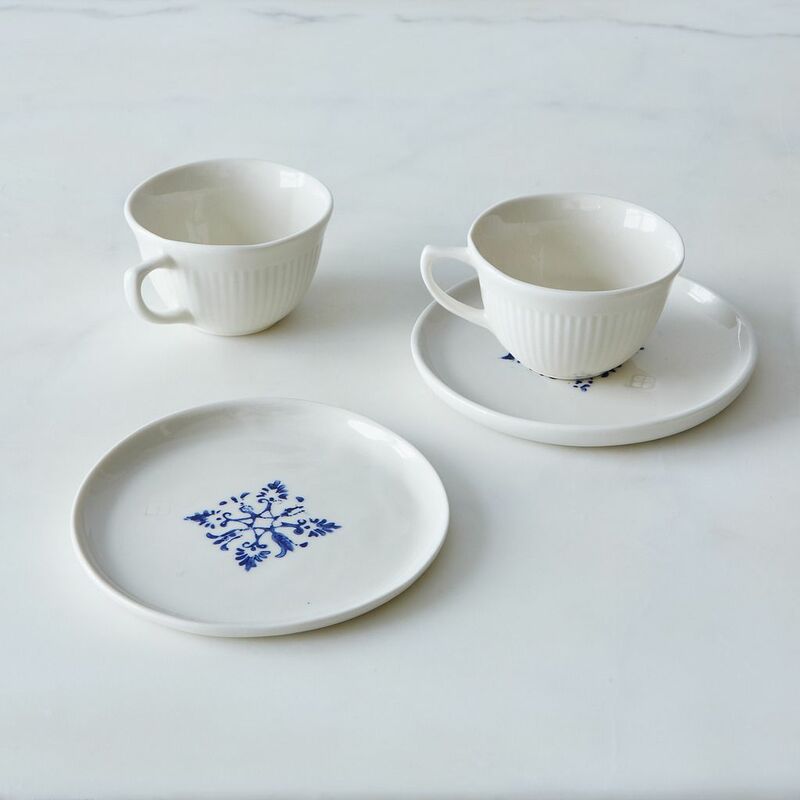 We planted our herbs in her flower pots, bake in her pie plates, and now, we want to drink tea from her delicate, gorgeous tea cups and saucers she created exclusively for our Shop. Thing is, her cups deserve only the best-brewed tea. Bitterness just doesn't fit into this scenario. Leaving leaves of black or green tea steeping and steeping isn't going to get you the cup you want—there's more of a science to it. The interaction between oxygen, water, and tea leaves isn't unlike the way ingredients in a cake come together like an edible science project. So if you spend a few minutes perfecting the procedure, tea time can be a relaxing part of your day. Glass: Great for visibility but does not retain heat. Ceramic: Unlike glass, ceramic teapots retain heat; they also won’t absorb any flavor. You can brew various types of tea in a single ceramic pot without having to worry about the pot imparting flavor from your last batch of tea into another. 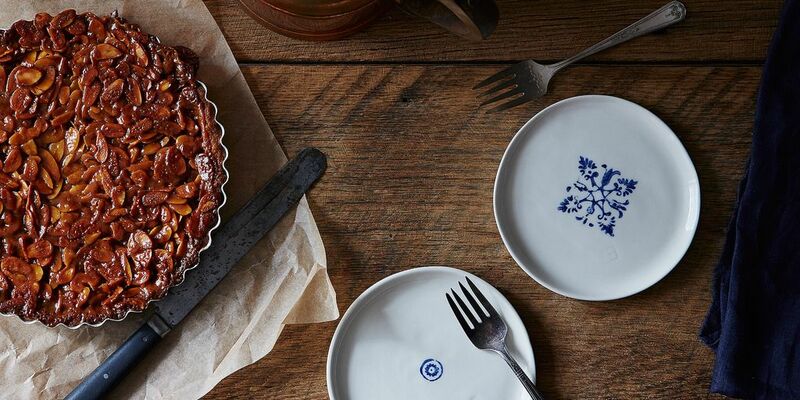 Porcelain: Similar to ceramic, it won’t absorb flavor. However, because it's typically thinner than a ceramic teapot, it will not hold in heat. It therefore is better suited to lighter teas like white or green, rather than black or a dark herbal tea. Clay: Clay is known to draw in heat, but the porousness of this teapot will also draw in flavors. If you choose to use a clay pot, be sure to only use it for a single kind of tea. Cast Iron: The density of a cast iron pot means it retains heat very well, which is good for teas that require high temperatures (see below), but also means over-steeping is a big possibility. The pot may even leak some of the flavor from its enamel coating into your drink. On the upside, it is great for keeping a black or herbal tea hot for hours. More: Grow, make, and drink your own herbal tea. 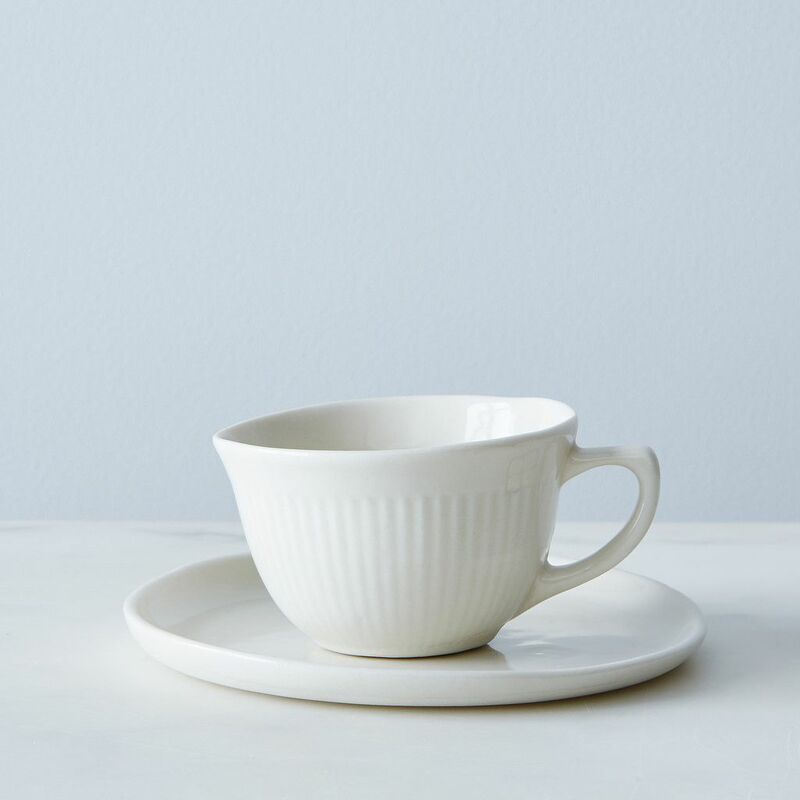 Consider two things when readying your water for tea: quality and temperature. Quality: While filtered tap water is an option, fresh or spring water is best because it has plenty of oxygen and a clean taste. Having oxygen in your tea water is important because it stimulates or “energizes” the leaves to bring out flavor and character. Temperature: Consider the type of tea you're brewing when thinking about the temperature of your water. Because they are more robust, black teas can handle higher temperatures, like 195° F. However, more delicate teas like white or green need to be steeped in cooler water—around 180° F. An easy way to get your water to the right temperature is, after the water comes to a boil, let it sit for 2 minutes if you want 195° F and for 3 to 5 minutes for 180° F.
When brewing mixed loose-leaf teas (for example, jasmine with green), be sure to use the shortest steeping time from each set of instructions. And never reboil the water, as it will reduce oxygen and affect the flavor of the tea. It might be best to brew a new pot of tea instead. Take the leaves out of the water, pour your tea into your cups, and enjoy. Sweets are a good idea, too (Edith's saucers double as dessert plates). Tangerine and Almond Shortbread Tart and Art et Manufacture dessert plates. I spent a few summers working at a B&B in England and there is a critical step missing for a proper pot of tea. You always warm the pot and it is nice to warm the cup. Place a little boiling water and swirl it around, dump it, add tea and then water to heated pot. And never pour milk into the pot, that is called "stewed tea" and it is nasty. Thank you, Victoria. It's good to know how important that step is and I apologize for missing it. You aren't the first person to mention it and will absolutely add that to the article. Love the article! Just one question, is it ok to reuse teabags? If so, what's the best way, refrigerate or leave out to dry? Lovely overview, thanks for helping spread some tea love! A few things to keep in mind: the longer the leaves swim, the more caffeine extracted. Also, cold brewing high quality Japanese greens is a must-try as the weather warms, and you can get away with slightly longer infusion times with cooler water, resulting in a smoother, slightly sweeter liquor. Enjoy! Leaflover! (Great name) Thanks for those tips. I'll be sure to keep that in mind while brewing—so interesting about the caffeine, I had no idea. Any good recommendations for Japanese greens? Tea drinkers, unite! I always feel like I'm in the minority among our coffee heavy culture. For the love, don't pour milk into my cup with the tea bag before the hot water. All interesting…what about "warming the teapot" before putting in tea leaves? Denise, Good point! I think it would depend upon the type of material your pot is made of and whether or not it will retain the heat. Regardless, it would certainly come in handy during colder months to assure the tea stays warm once it's served. What are your thoughts? 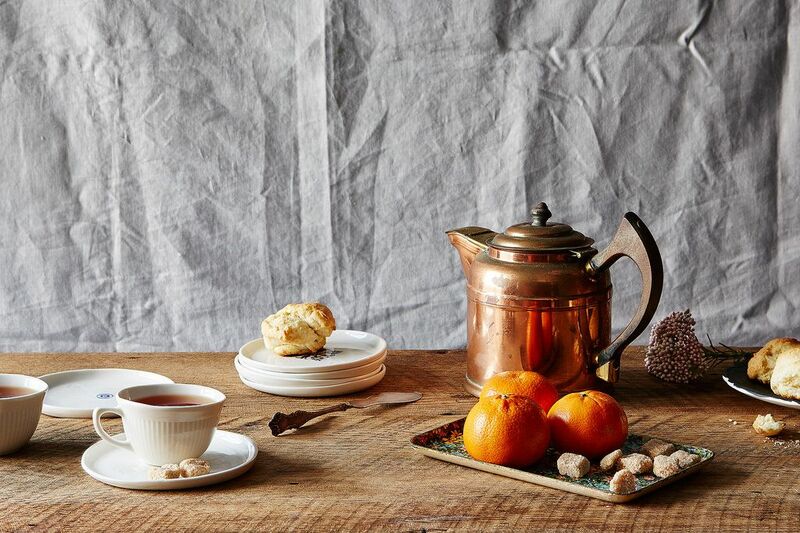 Thank you for such a great article on how to brew tea. I had no idea that the temperature of the water was the key. The simple water cooling process will surely come in handy! Mary, I agree. It's always so fascinating to learn about the secret lives of food & drink ;) Thank you for reading!